My Creative Time: Countdown to new release & 2 Sweet "Guest Designers!" Countdown to new release & 2 Sweet "Guest Designers!" HAPPY HAPPY FRIDAY my sweet friends! Today I have an AWESOME Guest Designer joining us today! She is Miss Angela w/Angela's Crafty Spot! OH MY…..look at her SUPER ADORABLE projects she made showcasing this AWESOME stamp set that was release in April! 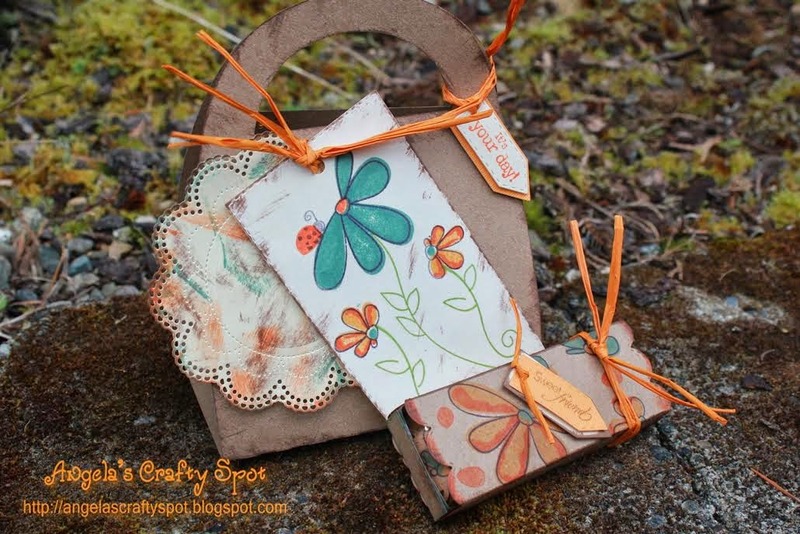 Her colors she used look AMAZING against that kraft card stock! Don't forget to click on her name to visit her blog & leave her some MUCH DESERVED "bloggy love!" Next up we have the talented Miss Cindy w/Creating with the heart! 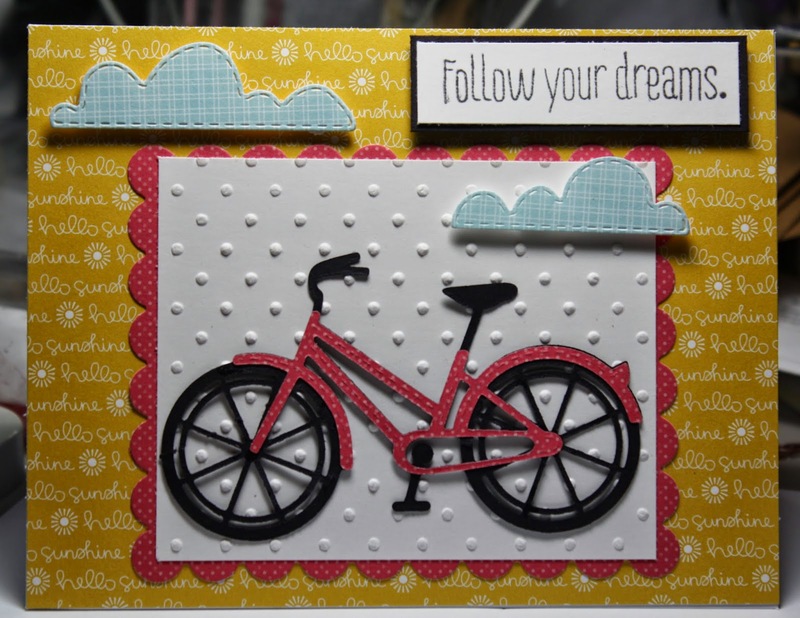 Check out her AWESOME card she has created too! Don't forget to click on her name to visit her blog & leave her some MUCH DESERVED "bloggy love too!" 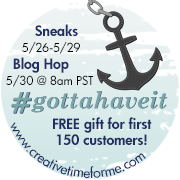 I am SO EXCITED because we ONLY have 3 more days left til May's Sneaky Peeks!!! Yep, we will be starting our sneak peeks this Monday, May 26th @ midnight PST. I thought it would be fun to play a little game here today! ;) Since a lot of you are NOT on Facebook I thought it would be fun to show you all ONE of the sneaks for next week & have "YOU" guess what the name of this new ADORABLE set is? To play along, just leave your answer in the comments below! Don't forget to leave a way for me to contact you "should you win!" If YOU are the lucky winner, I will contact you right away! The FIRST person who guesses it correctly will WIN this new set! Don't forget to visit BOTH of my sweet Guest Designer's blogs HERE & HERE! Looking forwards for Sneak Peek week! My guess is "Sailing by to Say Hi! " Awesome projects from Angela, very pretty colors. my guess is : down by the sea! or surf's up? can't wait to see this new release! have an awesome weekend! Sail Away With Me is my guess. Thanks for the chance to win! I just can't wait to see the new release. Sail Around With Me is my guess. Love your set Angela. Good color choices on the kraft paper. My guess is Sailing By To Say . Looking forward to this stamp set. How about That's So Nautical. My second guess if we can do that. How about "Simply Nautical". Can't wait for the release! I'm going to guess Sailing into Summer. Looks cute. Sailing By to Say Ahoy! Great projects! My guess is Come Sail Away. Super cute!! Fab & Fun projects!! !Congrats to Angela & Cindy on the GDS!! My guess would be...Sailing away!!! My guess would be Fun Sailing. This was fun. My guess is "Down By the Seashore." I mentioned Nautical Love over on your fb page but wanted to post it here as well. This FL girl can't wait to see more. Nautical Fun I intended to type from the stinkin' phone. Sorry. Your stamp set looks like a lot of fun! My guess would be "Ocean's of love"! Thanks for sharing your time, talents, and ideas with us. Thanks for all the great comments on my creations for today! My guess is Sailing by to say Hi! Thanks for the fun and including those of us who do not do Facebook. Everything Nautical is my guess. Great projects from the guest designers! I think it is a shaker card. And it looks like it is a water and sailboat card. How Exciting so can't wait for sneaky peek day #1 I have read what the gals guesses are and they all sound so good......My guess is Everything Nice & Nautical. Good luck to everyone who played along how fun this was. My guess is Ahoy Americana! My guesses are Sailing the Open Sea, Ships and Anchors, Sailing and Surfing. Thanks and have a great day. 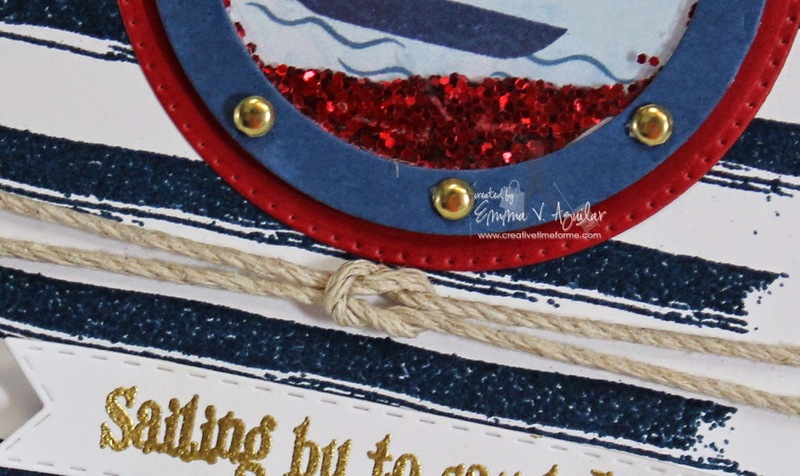 I am so looking forward to this weeks sneak peeks, Just love anything Nautical..."Let your Dreams Set Sail"
My guess is Sailing by to say hello! Looking forward to the new release... I jut love any nautical themes! Well Miss Angela and Miss Cindy did a BEAUTIFUL job with their guest spots! Way to go ladies!! Emma ~you know I just LOVE this card already and I don't have to see anything else! But I really want too! LOL!